It’s the biggest game to come out so far this year, and it’s exceeding all expectations. Santa Monica Studio brought back Kratos in a brand new God of War game for the PlayStation 4. With this art book from Dark Horse, we get to see the detail and beauty that went into making this modern-day epic. When it comes to the production art of video games, I am a massive fan. I would buy the strategy guides just for glimpses at the artwork. Now, with this awesome book, you can enjoy pre-production artwork and notes, a look at the world created for this game, as well as the actual production of the series. From character designs, sketches, storyboards and more, we get a first-hand look at this amazing game. Set in a pre-Viking world deep in Norse mythology, it is a big departure from the previous titles, yet retains the core of the game nicely. Kratos has changed to match the new world he lives in, now with his son as a sidekick. We get detailed looks at our two heroes, the enemies they encounter, and the environment, which feels like a character in itself. I have gone through these pages over and over, and I still can’t get enough of this book. 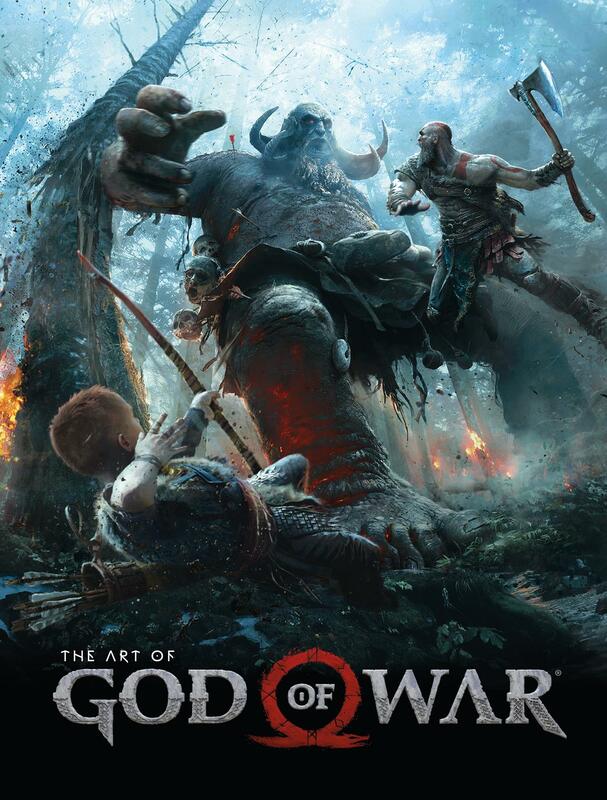 The Art of God of War should be a must buy for any fan of the series. Dark Horse knocks it out of the park with this one. Available digitally as well as a beautiful, hefty hardcover, I can’t recommend this book enough.